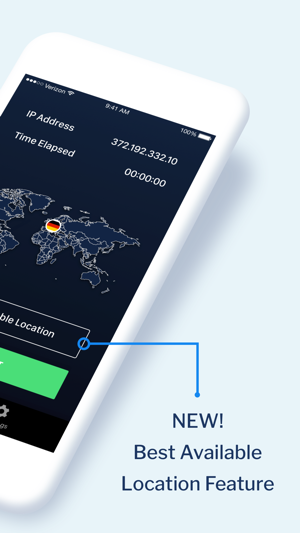 StrongVPN is your fast and easy tool for unlimited privacy online. 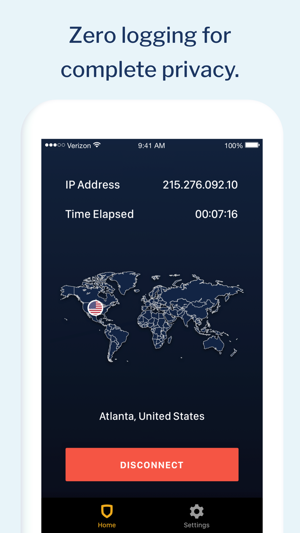 Stay safe with the best VPN for iPhone and iPad. Use StrongVPN to protect your data from ISP spying and cybercrime while you use vulnerable Wi-Fi networks. 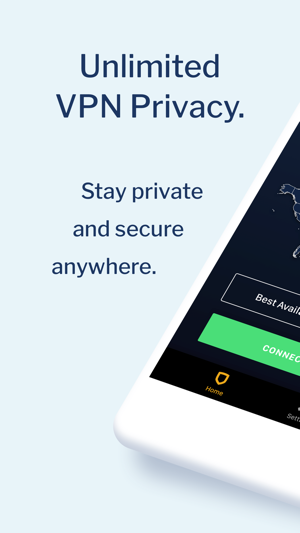 Enjoy the added ability to browse the web unrestricted worldwide, all while staying private and secure with the best VPN. Established in 1995, StrongVPN is one of the oldest and most trusted names in the VPN industry. 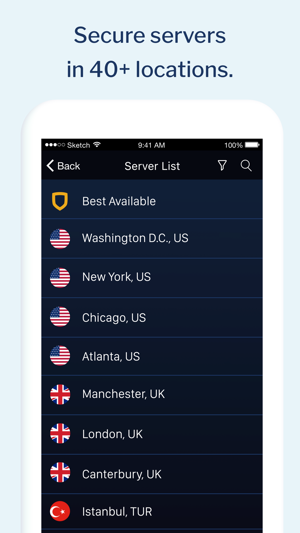 StrongVPN is supported on a wide variety of devices. Get started with our easy-to-use VPN setup guides to begin securing your internet connection within minutes. We also allow you to have five simultaneous connections, so you won't have to sacrifice the privacy of one device for another. Your privacy is our priority. 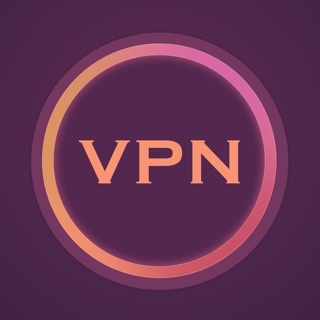 Unlike other VPNs, StrongVPN will never track, store, or spy on your browsing data while you're connected to our VPN. We own our own secure server network, meaning that your private information is protected from any third parties. Our network optimization makes our VPN deliver the fastest speeds, all while continuing to secure your browsing activity. Enjoy the internet without being throttled by your ISP and other pesky lags. You will be charged on your iTunes account at purchase confirmation. Subscription automatically renews unless auto-renew is turned off at least 24-hours before the end of the curent subscription. Renewal will be charged 24-hours prior to the end of the current period, for the originally charged amount. Subscriptions can be managed from your iTunes account settings. StrongVPN offers both 1 month and 12 month auto-renewable VPN subscriptions, available through In-App Purchase. We never stop doing code cleanup, bug fixes, and general improvements. Have a problem? Email us at support@strongvpn.com and we’ll give you a hand. I’ve never written a review for an app before. But I feel compelled to in this case. At first I was having some issues getting the app to do what it was supposed to. So I submitted a ticket via email and requested some assistance. I received a blazingly fast human response from Nathan Kohler. I tried what Nathan Kohler suggested and that fixed part of the issue. I sent Nathan Kohler another email and he responded with two more equally blazingly fast email responses which solved the problem. This app does as advertised and it comes with first-class customer service, particularly from Nathan Kohler. ... but Im going out of my way to write this one. Tried this for a month and used it quite a bit. It would break its connection once in a blue moon (when I switched networks or my phone went to sleep) but I was still a very satisfied customer as I didn't expect it to do otherwise. Now since the update, this app never fails. Rock solid. I use this service for all kinds of stuff. Works with Netflix too. You guys rule. Had I known this service was going to be this amazing I would happily have paid double. I’m sure many people are enjoying this app on their iOS devices as many give it great reviews. However, after deleting and reinstalling the app many times over on both the iPad and iPhone, following the setup instructions online, and switching protocols, the app has never worked. It will say I’m connected to the vpn, and display the vpn connection symbol, but cannot access any webpages or refresh any apps while connected. The StrongVPN app works great and as advertised on my wife’s Samsung. I also reached out to Tech support who told me to just set it up manually. That’s the whole purpose of this app! Tired of having to manually reinstall or setup the vpn profile anytime we decide to switch servers. Hello, please send us an email to management@strongvpn.com from your account email. We'll review your case with our team and help find a working solution for you within the app.